I already included the pictures of my two new bulletin boards this year in my massively long post of classroom pictures today, but I wanted to create a separate blog post that people could use to easily find the downloads to duplicate these bulletin boards in their own classrooms. I don't think I've ever been this happy with my bulletin boards before. They make me smile. They represent what I think is important. They are useful to students. They spark conversations. The bulletin board behind my desk is called "Change Your Words - Change Your Mindset!" This year, I'm working to help my kids develop a growth mindset. Many of them have had a fixed mindset instilled in them through their families. They have been raised to believe that they are either a "math person" or "not a math person." 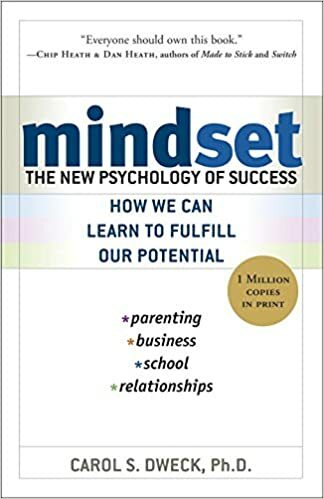 This summer, I read Carol Dweck's Mindset: The New Psychology of Success . I do believe that this was a life changing read for me. It's changed how I think about things in my own life. And, it's changing how I structure things in my classroom. This is not an original idea. It was inspired by a pinterest link from @druinok. I took what was supposed to be one poster and made it into an entire bulletin board. The words printed on gray card stock represent a fixed mindset. People with a fixed mindset believe that we each live in a box. There are skills that are in our box, and they will always be in our box. There is nothing we can do to change that. And, there are skills that are outside our box. They, too, will remain where they are. They believe that intelligence and ability are fixed, defined. Effort is not required. Failure is bad because it is viewed as defining. Those with a fixed mindset avoid challenges for this reason. The words printed on colored card stock represent a growth mindset. People with a growth mindset view themselves as plants. They have the ability to grow, but they must choose to grow. They believe that we are in complete control of our intelligence and abilities. If there is something we cannot do, it is because we have not put in the hard work necessary to master it. I'm asking my students this year to listen for people speaking in the fixed mindset and to offer them a statement in the growth mindset instead. Download Change Your Mindset Files Here. My other bulletin board stems from this theory of mindset. If I truly believe that mistakes are good and that is how we learn, my classroom grading policy needs to reflect that. This year, I am adopting SBG in all three of my preps for the first time. I've kinda played around with it in my Algebra 2 classes, but I've never started pure SBG from Day 1. While searching for posters that embody the elements of SBG, I found a flow chart poster made by Sarah Rubin who blogs at Everybody Is A Genius. This flow chart was inspired by the blog of Kelly O'Shea and her work with SBG. Again, I liked the idea of a poster, but I really wanted something bigger and better than a poster. So, neither of these bulletin boards are original. I just put my own spin on them. I changed the coloring to better represent my grading structure. The orange card stock represents what we do with interactive notebooks and in-class practice activities. The purple card stock represents homework. The pink card stock represents quizzes. And, the yellow card stock represents demonstration mastery. Yay! Someone on twitter mentioned that this is how you learn anything. Absolutely! It's actually SBG generic. I just titled it "How to Learn Math" because, well, I teach math. The arrows are cut out of sparkly silver art foam, in case you were wondering. Download How to Learn Posters Here. Want more information on developing a growth mindset in your students? Thanks Anisa! I'm pretty much in love with them. Can I just have a job where I design bulletin boards all day long?!? Love this! Going to use them. Please post pics! Can't wait to see them! These bulletin boards are awesome! I am trying to do more to cultivate a growth mindset in my special education geometry students this year, and you have inspired me to use your ideas. Thank you so much for sharing! Thanks! Glad you can use them! Great! Really fits into my math lessons! Thank you so much for your bulletin boards! I'm always at a loss as to what to put on mine, so you're welcome to design them for me. 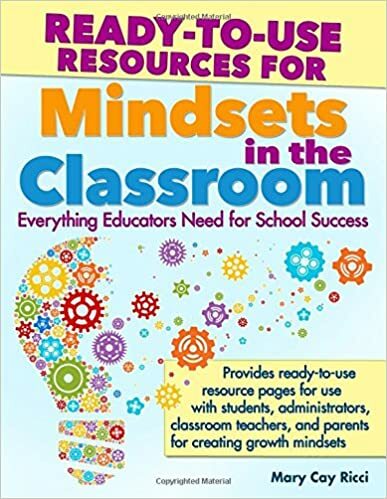 My school district is fostering community engagement by handing out copies of Mindset and having discussions. It'll be great to have some growth mindset language in my classroom! Thanks Allison! I love designing bulletin boards. Glad I could give you some inspiration! I think it's great that your entire district is embracing the growth mindset! That's awesome! Thank you so much for the inspiration, I was able to use it in my elementary art classroom. Thanks so much for sharing these awesome posters. I am a math coach working with Math 180 program which has teaching about Growth Mindset as a part of the program. I've shared these with my teachers and with other coaches, so they may be making it around the country. I love the growth mindset and plan to make this colorful bulletin board. 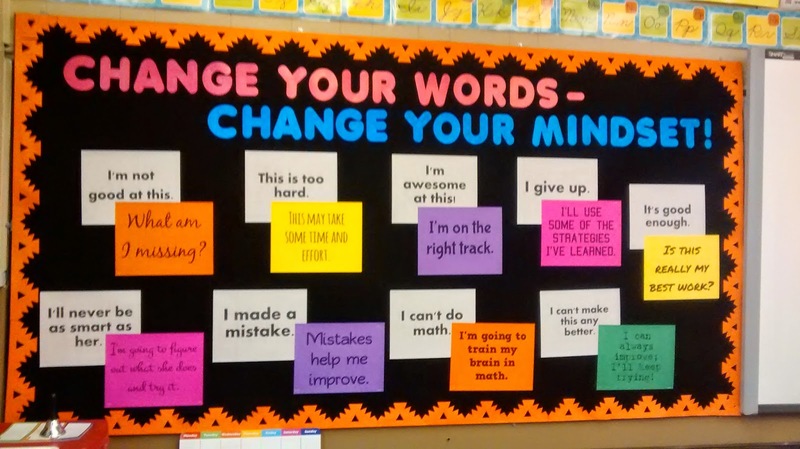 Where did you find the awesome orange border on the "Change your words-change your mindset" board? My mom picked it up at a yard sale. It's super flimsy but I liked how it ended up looking. Sorry I couldn't be more help. Could you give us a little more insight on how you did this with your class: how much time did you spend, were there any specific activities or parts of the book that you went over with your class, etc? 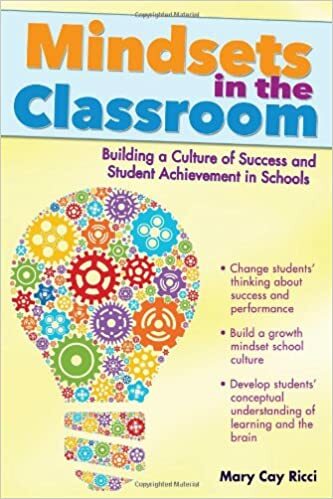 I'm in the process of reading the book and have been thinking about how to use it in my class. I'm glad I ran across your blog! Any ideas or suggestions will be greatly appreciated. I planned to show a few videos, but I had computer issues. I love your ideas... Thank you for sharing. I was wondering if you can share some more about your grading policy. How have you adopted SBG? How did it go? I just wrote a post about analyzing errors and my sbg grading system of a/b/not yet. Check out July 29th's post! I thought the same thing S. but then I thought well, maybe, it's for the cocky kids who think they know it all and time after time make careless mistakes which keep them from obtaining the all elusive "A"......Just a thought.....what do you think? This is exactly right. This is for the students who think they are naturally good at something and don't have to put forth any effort. Very nice boards! Thank you for sharing. I hope this makes a positive difference for your students! It definitely has for mine! And, thanks for the kind words! My sixth grade math students and I have been doing Jo Boaler's Week of Inspirational Math. This bulletin board will be a great "anchor chart" style BB to keep growth mindset on our minds all year. Thanks! Hi Sarah! Love love love your blog!!! I am almost certain you posted a summary of the Change Your Words - Change Your Mindset summary formatted two per page for ISNs earlier this year/late last year, but I cannot seem to find where I saved the file nor am I finding it on your blog at the moment, If this was you, a pointer to the correct link or sharing of the file would be deeply appreciated! (deborah.moran@bgreen.kyschools.us) Thank you! Sarah, this is incredible! I just finished reading Mindset and I've been looking for a bulletin board like this. Thank you so much for sharing all of your resources. It has been so helpful for me to read through your posts. I will be teaching Algebra II next year, and I've found your posts so informative. I love the presentation of the boards and the idea of getting pupils to understand growth and fixed mindset themselves - engaging them in their learning. What surprised me as a trainee teacher, I have seen the second display board in classrooms but I did not realise it's whole intention in relation to Dweck's theory, so I'd love to know how you successfully engage pupils further with their own metacognition as I think it's a great idea! 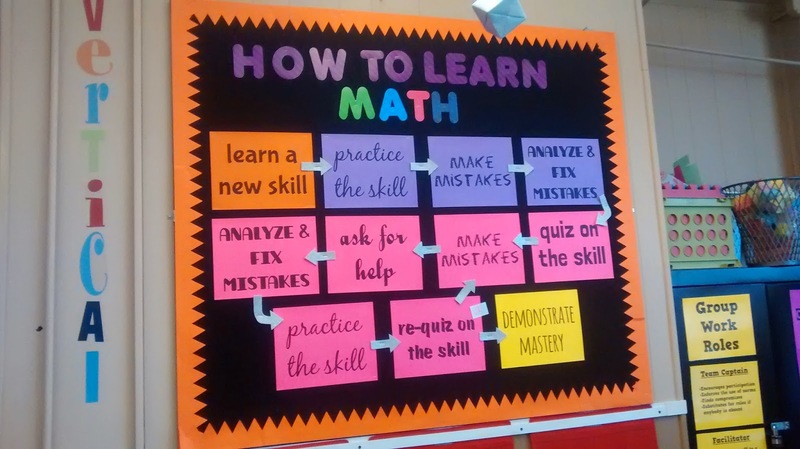 Have you ever thought of having students design the bulletin board? They might be more apt to use it that way. I've never done it that way, but it sounds like a great idea! I love your blog! Thank you, Sarah, for sharing your knowledge! have a nice day! I LOVED your boards so much I decided to copy a few of them. I had to change a few things, but I loved it. Thanks so much for all the ideas. You helped change an empty, previously decorated by a coach classroom into something that I can actually be proud of. Thanks! I am completely grateful that you have offered this for free! I just started a new position and was assigned two extremely large bulletin boards in the hallway and this will really help with the time spent on creating something so large! It can be applied to any grade level. I thank you and the time you put into this! Just FYI, my district tech person had to change a setting on my firewall in order to download from box.com. Now things work swimmingly!!! !